Embossed portfolios. Pockets are closed on all 3 sides and edges are double reinforced.9" x 12" size, 9" x 12" Assorted, Box/25. Pockets Enclosed On 3 Sides. Edges double reinforced. Embossed portfolios. Pockets are closed on all 3 sides and edges are double reinforced. Light Blue 8-1/2" x 11". Box/25. Pockets Enclosed On 3 Sides. Edges double reinforced. 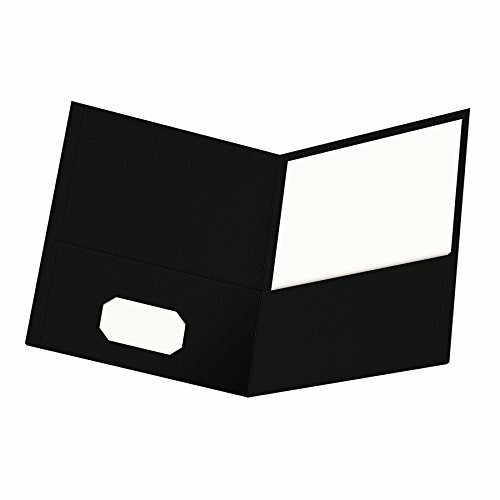 Oxford Twin Pocket Folders hold up to 100 sheets of letter-size paper (50 per pocket). Textured covers in black. Keep contacts at hand with a die-cut business card holder on the inside. 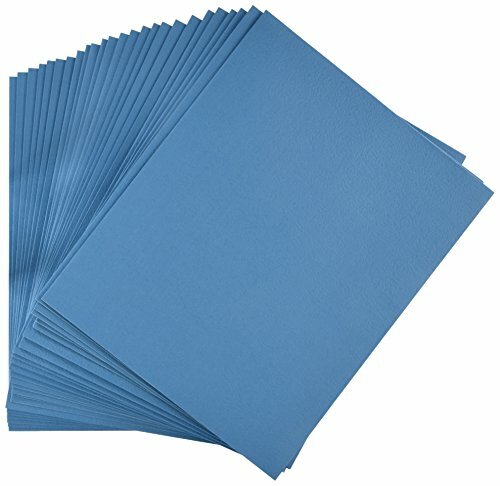 Paper made from 10% recycled fiber with 10% post consumer fiber. Letter size. 25 per box. Embossed portfolios. Pockets are closed on all 3 sides and edges are double reinforced. 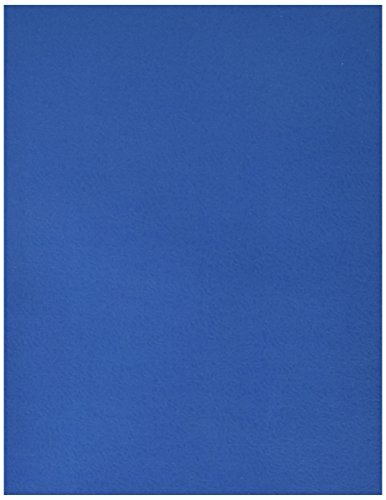 Dark Blue 8-1/2" x 11". Box/25. Pockets Enclosed On 3 Sides. Edges double reinforced. 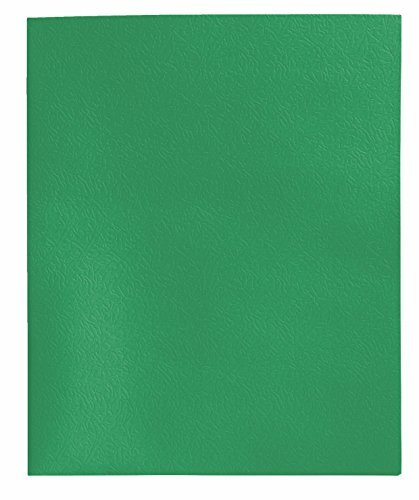 JAM Paper® Heavy Duty Two Pocket Plastic Presentation Folders are a great way to organize your important papers and documents at school, the office, home, or on the go. 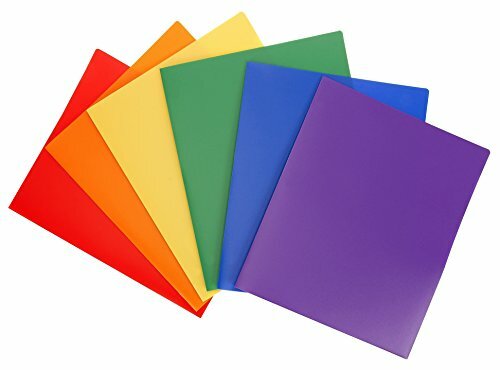 These heavy duty folders are both highly durable and flexible and will last you for years to come. Folders include 2 pockets, designed to keep your documents neat and secure and also include an additional business card slot built into the right side pocket. 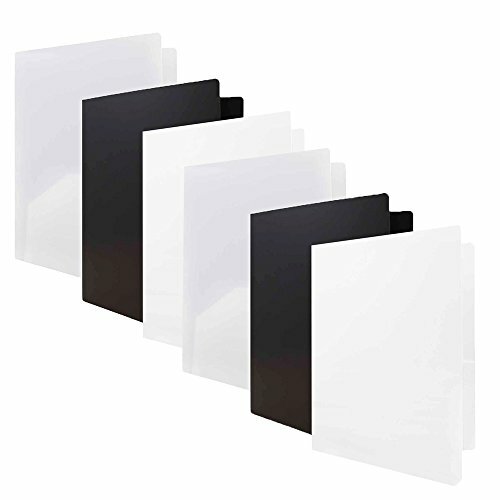 With a smooth plastic finish, these folders have both great quality and value. So whether its for homework, business memos, or projects, JAM's heavy duty 2 pocket plastic presentation folders are a must have! Embossed portfolios. Pockets are closed on all 3 sides and edges are double reinforced. Green 8-1/2" x 11". Box/25. Pockets Enclosed On 3 Sides. Edges double reinforced. 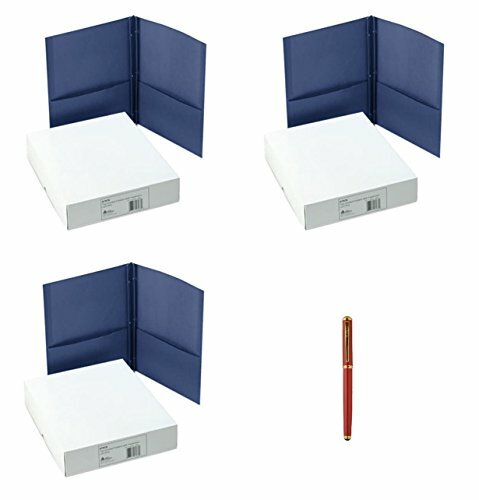 For organization of your loose papers, these two-pocket folders provide a classic and economical solution. 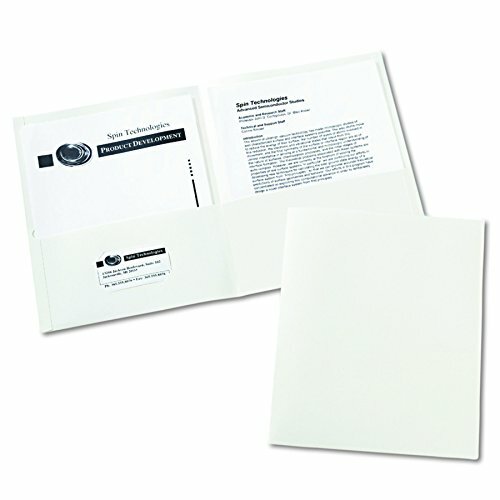 Constructed of standard embossed paper, the folders are lightweight and flexible. Two interior pockets provide room for papers, brochures and booklets, and a business card holder lets you Personalize the look of the folder. Predesigned templates and software at avery.com provide easy customization of title pages. The rich color helps you locate it easily and makes for an eye-catching presentation to clients, colleagues and more. Large pockets safely hold documents for easy transport while keeping the material immediately accessible. 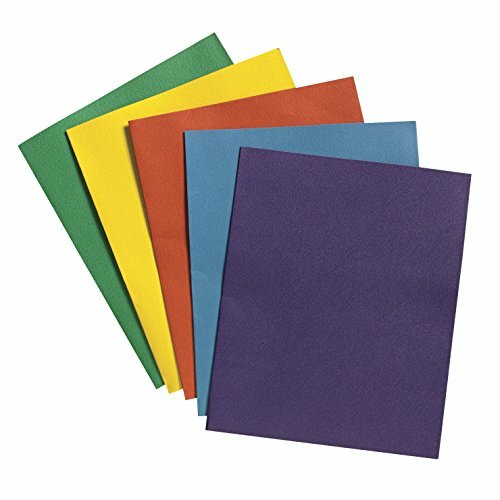 Assorted colors are great for organizing by class or project. 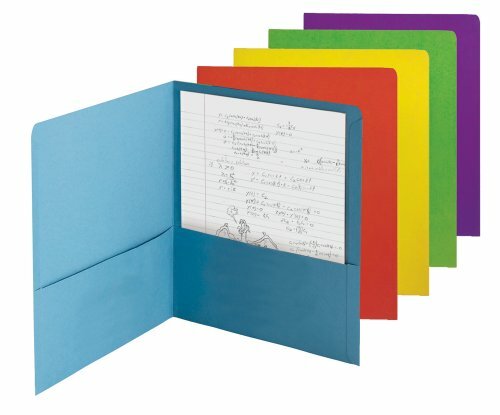 Compare prices on Two Pocket Folders at ShoppinGent.com – use promo codes and coupons for best offers and deals. Start smart buying with ShoppinGent.com right now and choose your golden price on every purchase.